Fire Door Solutions offers turnkey solutions for fire door, damper and barrier inspections and repairs. Its professional technicians are committed to getting clients in full compliance as quickly and efficiently as possible. CSA Service Solutions is a national provider of technical repair & maintenance services to the healthcare, laboratory, power and self-service kiosk industries. East West Manufacturing designs and manufacturers electronic motors, specialty components and engineered subassemblies to a broad OEM customer base in the Air and Water Movement, Electronic Manufacturing Services, Industrial Automation and Medical, Health and Beauty markets. Cascade Drilling, L.P. is the national leading provider of environmental testing, soil remediation, and geotechnical drilling. The Company’s capabilities also in direct imaging and in situ remediation. Intechra helps Fortune 1000, large and medium-sized businesses retire IT assets such as personal computers, servers, networking equipment, and data center equipment in compliance with federal privacy regulations, environmental laws and internal corporate security policies. AC Label is a leading provider of pressure sensitive labels, stickers, coupons and packaging solutions. The company provides its service to a diverse customer base including companies in distilled spirits, specialty beverages, food, nutracueticals and health and beauty. 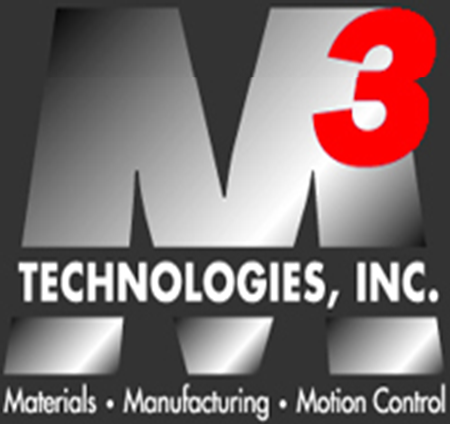 M Cubed has developed a variety of advanced materials targeting mission critical applications in the armor, semiconductor capital equipment, chip manufacturing and electronics packaging markets.